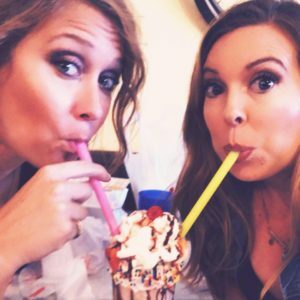 Valentine’s Day was almost two weeks ago but we think you can celebrate all month long with this whimsy cocktail! 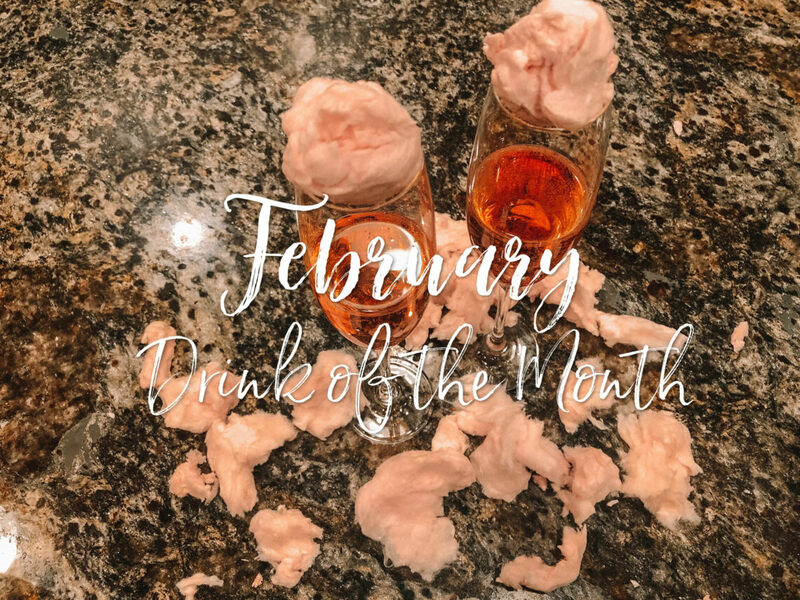 Our drink of the month for February is simple with a few ingredients. 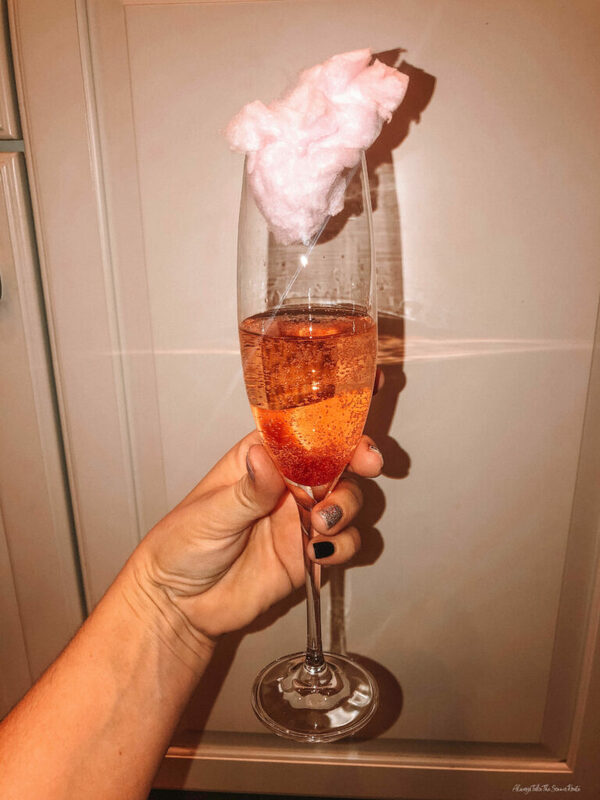 On Cloud Nine is made up of bubbly and melt in your mouth cotton candy. 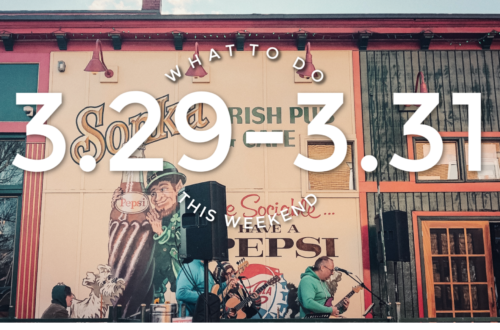 You can mix up this cocktail differently depending on how much sugary sweetness you prefer. 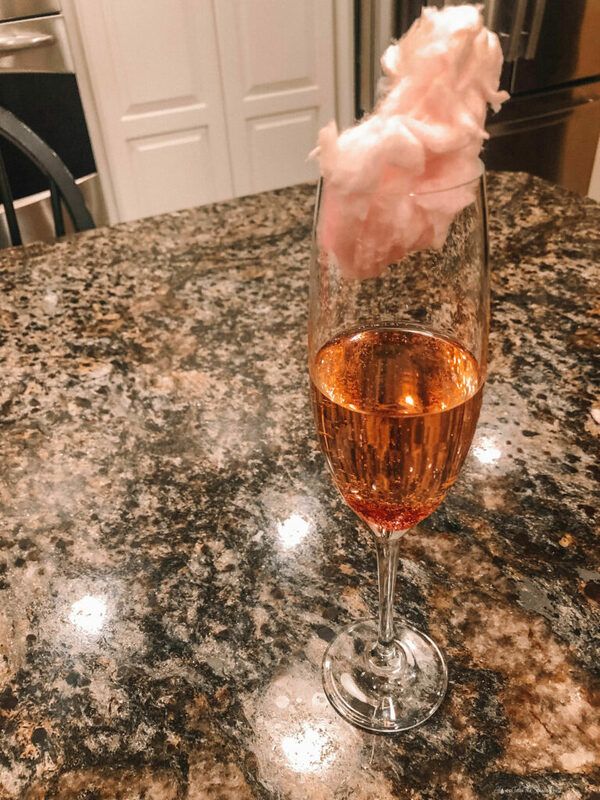 One way to make this drink fun if you have guests you are trying to impress is to put just cotton candy in the champagne flute and then pour the bubbly over top. 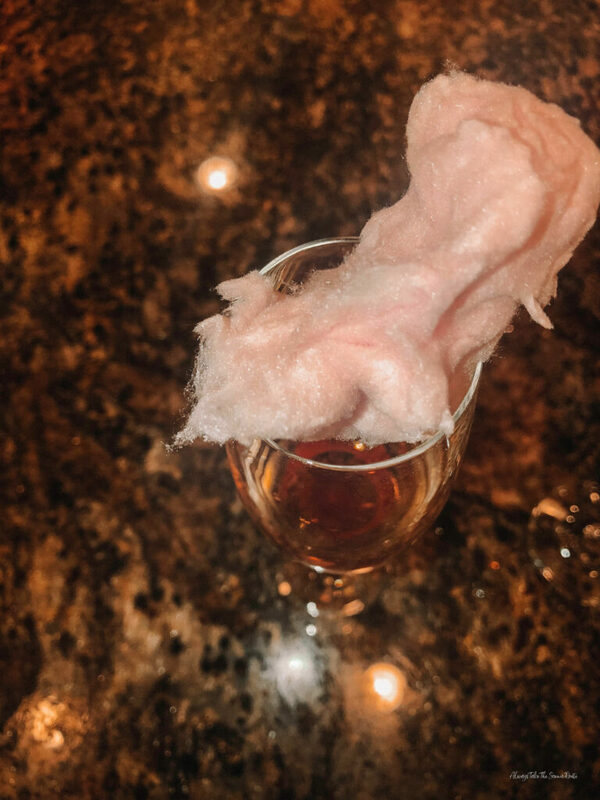 I think the drink is served best with the cotton candy garnish on top and to let your guests drop it in for a fun fizzy effect.